Minneapolis (March 27, 2018) – Produce for Better Health Foundation (PBH), a nonprofit organization whose mission is to increase Americans’ daily consumption of fruits and vegetables for better health, has selected Padilla, and its FoodMinds division, as its agency of record. The work will include brand positioning, stakeholder and consumer research, digital ecosystem strategy and activation, industry outreach and consumer influencer engagement. The agency’s work with PBH will be served by Padilla and FoodMinds’ Chicago, Minneapolis, New York, Richmond, San Francisco and Washington D.C. offices. Since 1991, PBH has invested decades into developing trended insights on attitudes toward all forms of fruit and vegetable consumption, in addition to campaigns and partnerships with government, food industry stakeholders, health professionals and other thought leaders to collaborate, facilitate and advocate for increased intake. Campaigns include first, the 5-A-Day program, and now, the Fruits & Veggies—More Matters public health initiative. Fruits & Veggies—More Matters is the nation’s largest public-private, fruit and vegetable nutrition education initiative. 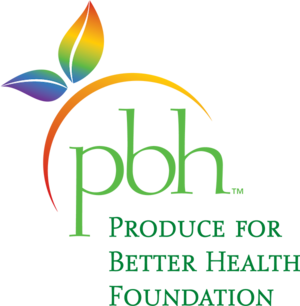 To learn more, visit PBHFoundation.org and FruitsandVeggiesMoreMatters.org. Follow Fruits & Veggies—More Matters on Facebook or Twitter. Padilla is a top 10 independent public relations and communication company comprised of 240 employee-owners. Padilla builds, grows and protects brands and reputations worldwide by creating purposeful connections with the people who matter most through public relations, advertising, digital and social marketing, investor relations and brand strategy. Padilla includes the brand consultancy of Joe Smith, the food and nutrition experts at FoodMinds and the research authorities at SMS. Clients include 3M, Barnes & Noble College, Blue Cross and Blue Shield of Minnesota, Hass Avocado Board, Mayo Clinic, Prosciutto di Parma, Rockwell Automation, Sanofi Pasteur, U.S. Highbush Blueberry Council, the Virginia Lottery and Welch’s. Padilla is a founding member of the Worldcom Public Relations Group, a partnership of 143 independently owned partner offices in 115 cities on six continents. Make a connection at PadillaCo.com.